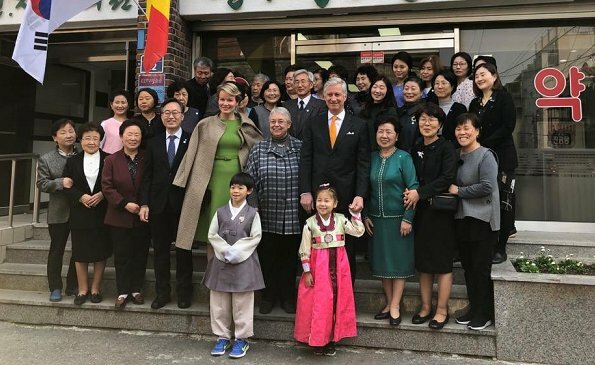 King Philippe of Belgium and Queen Mathilde of Belgium started the fourth and final day of their state visit to South Korea with a visit to the Jeon Jin Sang Medical Centre. 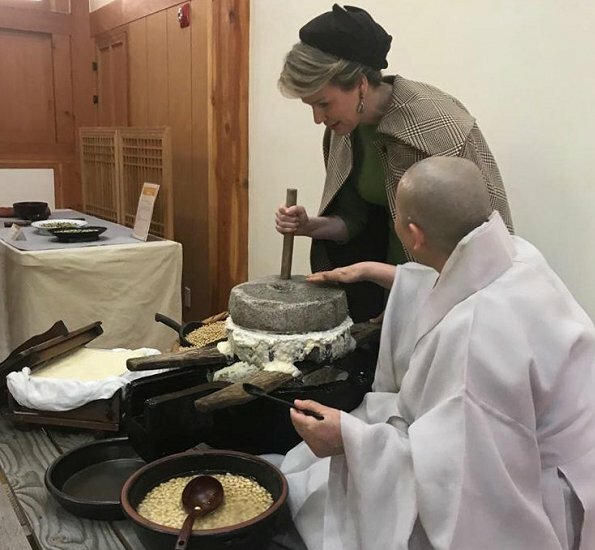 The centre was founded in 1975 by Belgian Dr. Marie-Helene Brasseur and provides medical and palliative care to the local population and also helps low income people in south-west Seoul, South Korea. 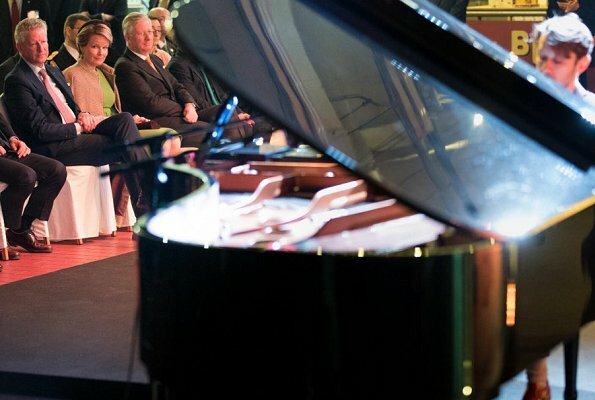 Afterwards, the King and the Queen attended the official opening of the Belgian Life Festival. 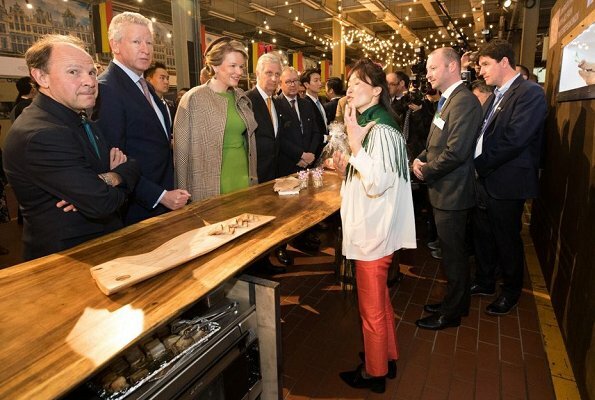 The festival is co-hosted by the Flemish Trade and Investment Promotion Agency, the local government, and the Belgian Food Industry Association and will continue until March 30. The festival showcases Belgian food, beverages, music, diamonds and arts. 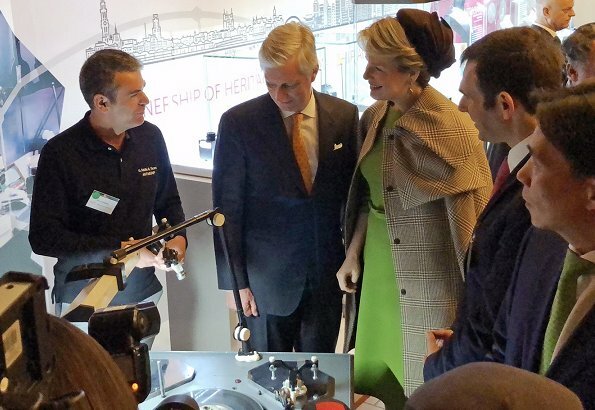 Then, the Royal Couple separated their program. The King attended an investment lunch with Korean and Belgian investors. The Queen attended a luncheon focused on mental health. 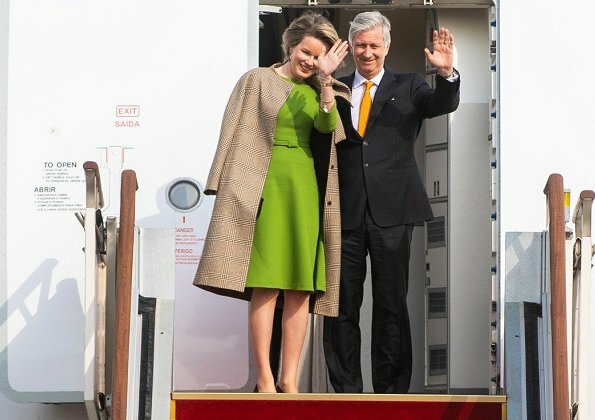 Afterwards, King Philippe and Queen Mathilde ended their state visit and departed from South Korea to return to Belgium. 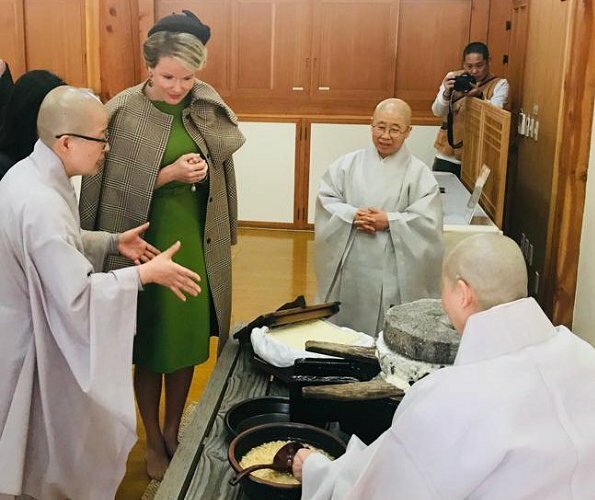 First Maxima, now Mathilde. What happened to putting your arms through the sleeves in the coat?? Beautiful coats too! Both women are tall and don't need to be wearing a cape. It may be trendy but it's really not stylish. It looks ridiculous. 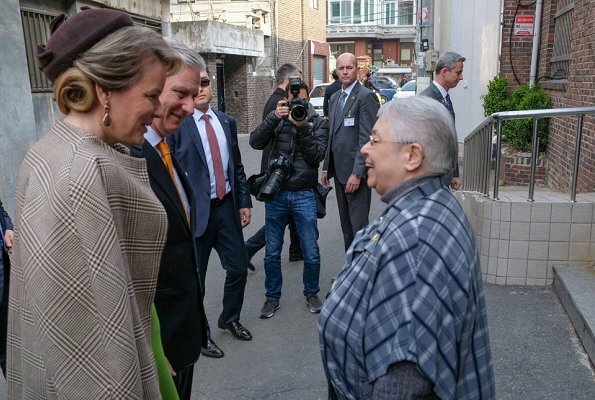 Why not wear a cape,as Maxima and also Princess Beatrix often do if you don't want to have the formality of a coat? Because they can my dear. No matter how trendy but not for everyone and not every kind of coat looks good on the shoulders. 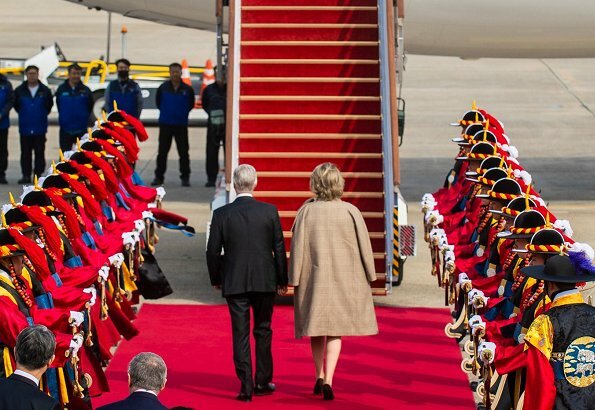 Like this green dress and coat.This Royal couple is always very busy, that is nice to see. She is always classy, Mathilde. Always with character and personality, without going over the top or too flamboyant. And her smile is always heart warming. Lovely person - regardless of becoming a royal. The kind of person you would want to be your friend.